Lot:3048 1849-C Liberty Head Half Eagle. AU-55 (NGC). 1849-C Liberty Head Half Eagle. AU-55 (NGC).This is a lovely example that exhibits mottled iridescent pinkish-rose overtones to otherwise deep gold surfaces. 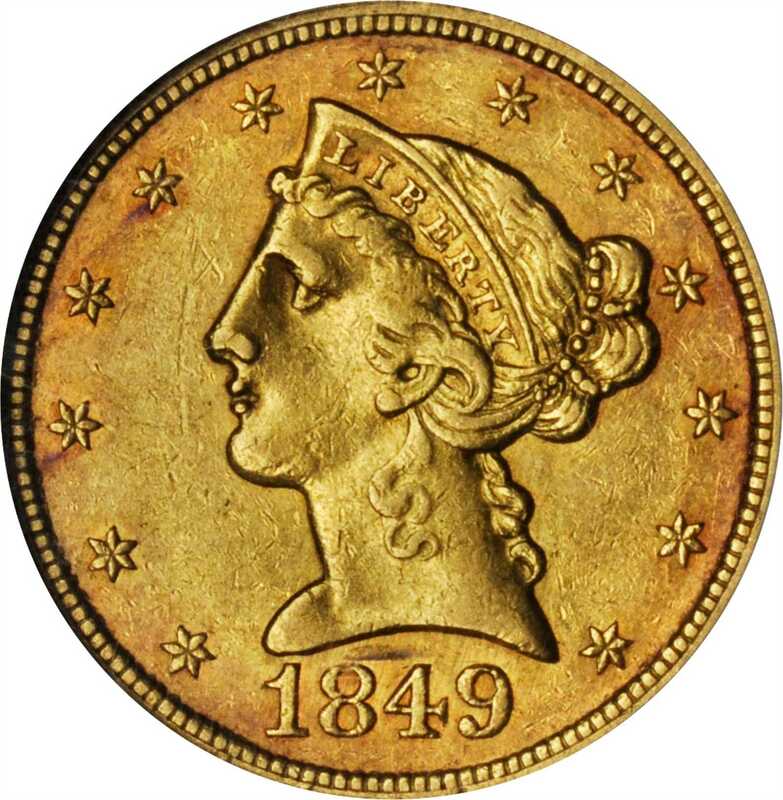 Sharply defined apart from softness to the central high points, both sides are appreciably lustrous and uncommonly smooth for a lightly circulated Southern gold coin from the pre-Civil War era. As one of the more frequently encountered issues in the Charlotte Mint half eagle series the 1849-C is an ideal candidate for inclusion in a mintmarked type set, especially with the superior technical quality and eye appeal offered here.